Let me start by apologizing for this ugly photo! I have a hard time getting good shots at dinner because it is usually dark and I am rushing to actually feed the family at the same time. This is a difficult dish to photograph well anyway because it's kind of plain. I wish I had used my beautiful Italian soup crocks to make individual portions and prettier photos. Now on to the recipe! 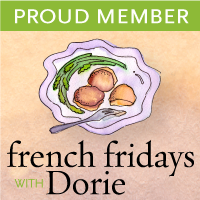 This week's French Fridays with Dorie pick was Hachis Parmentier. My three years of high school French and my desire to speak other languages usually gives me an undeserved level of confidence to pronounce any French word that is put in front of me but I don't even know where to start with Hachis Parmentier. Taking the opportunity to not only expand my culinary experience, I looked up Hachis Parmentier on Wikipedia. Hachis means a dish where the ingredients are chopped or minced and comes from the same root as the English word hatchet. Antoine-Augustin Parmentier was a Frenchman that was instrumental in promoting the potato as an edible crop. This is another recipe I would have never tried if it weren't for this group. I have never tried shepard's pie because I'm not always crazy about foods all jumbled together. I opted for the quick version that uses ground beef because I decided to make this for a weeknight dinner. While easy, I didn't think it was all that quick due to making the mashed potatoes which could easily be resovled by the use of my favorite refrigerated mashed potatoes. 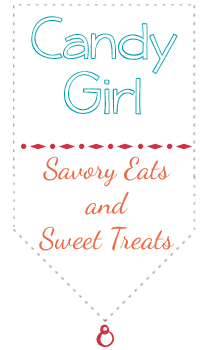 I loved the addition of the Italian sausage and plan on using that combination in other dishes. It added so much flavor to the meat layer of the dish. I thought this was delicious but my family wasn't that impressed. I didn't expect my husband to be into it but my daughter likes shepherd pie and loves those disgusting bowls at KFC where they throw everything on the menu into one dish and cover it with gravy. So having said that, I would gladly make, and eat, this again, but I'm afraid I would be forced to eat the entire dish myself! Sorry your family wasn't that into it but I'm glad you liked it! I too had a hard time photographing this one. And also since I can only cook at night I have no light! Argh. Oh well...at least it tasted so good, right? Thanks for the background on this one. How interesting. Who knew? I can relate as I have a hard time photographing anything! I thank you, also, for the interesting info on the dish! Your hachis looks delicious - and so glad to know what the words mean!